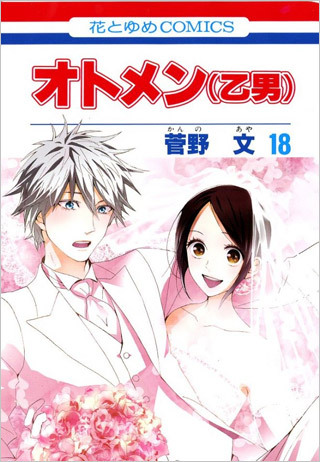 Sixteen Romantic Anime Couples Who Make Us Swoon! There are too many great anime couples to highlight them all, so we just picked a bunch of our favorites to celebrate this Valentine’s Day. However, like a box of fine chocolates that comes with a complicated chart that explains everything, we’ve grouped them into convenient categories for your perusal. 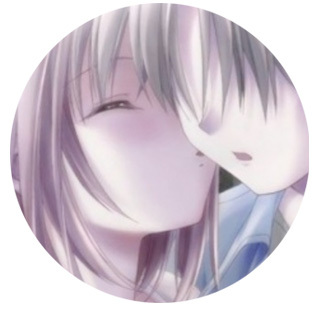 We tried to mix it up, with a flavorful assortment of couples from anime old and new, but if you get angry because your favorite couple isn’t listed here, well, what can we say—make love, not war? These are the love stories too big for just one universe—when bumps in the road to romantic bliss are comprised not of conniving exes or just missing each other at the train station, but larger concepts like, space, time, and causality. Whether the story involves time travel, returning from death, or alternate universes, these are the couples whose love is so epic, even the laws of physics step aside. Usagi and Mamoru, Sailor Moon— How universally connected are Usagi and Mamoru? Let us count the ways. First, they were in love in a past life on the moon, but when a brutal war denied them a chance to live happily ever after, they were reincarnated so they could do just that. Second, their daughter from the future comes back in time to tell them that they’re still an item in the year 3,000, so there isn’t any doubting the longevity of this duo. Lastly, death is only a minor obstacle for these two: Usagi has died at least twice (first at the conclusion of the first season, and also in the first film), while Mamoru died in the fifth season, and they just kind of walked it off. 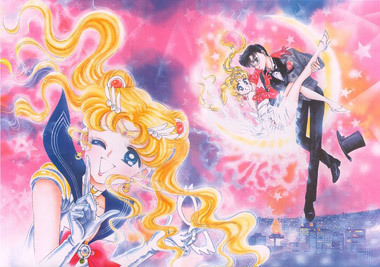 Sure, their romance is more of a fairytale affair than anything realistic, but with a new Sailor Moon TV series on the horizon for 2013, we’re still looking forward to seeing these two fall in love all over again. Shirou and Saber, Fate/Stay Night— Epic heroes of the past and future, respectively, it would be easy to say that these two are divided by time, but it’s actually a bit more complicated than that. Sure, she was born around 1500 years before him, rising from obscurity to become (in disguise as a man) the legendary King Arthur, and he’s a hero from some unspecified future, but it’s not their heroic selves that fall in love. It’s the girl she was before she took on the weighty mantle of king, and Shirou-- the boy who would only become a hero after he had changed beyond recognition-- who are soulmates. There are other popular couples in the Fate series but it’s the beautiful, and ultimately very sad story of Shirou and Saber that grips us. 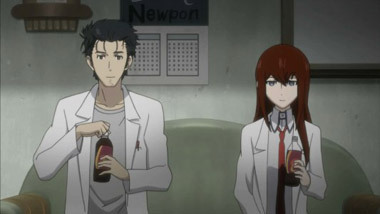 Okarin and Kurisu, Steins;Gate— We were going to explain how Okarin basically declares war on time in order to save Kurisu, but honestly, trying to explain any of the time-travel mechanics in Steins;Gate is a recipe for a migraine. What you need to know is that in addition to being an epic, genre-busting romance, Okarin and Kurisu also share one of the most realistic, relatable relationships we’ve seen in anime. Instead of being told that these two people are in love, we actually see their relationship develop slowly over time (and many cans of Dr. Pepper). More than anything else, we believe that Kurisu and Okarin are so great together that it’s worth messing around with the space-time continuum to keep them that way. They say it’s better to have loved and lost than to have never loved at all, and these star-crossed pairs prove it. While these couples don’t get to walk off happily into the sunset together, we love watching them love each other—at least, for a while. Misato and Kaji, Neon Genesis Evangelion- The relationship between these two is one of the reasons why the Neon Genesis Evangelion TV series improves upon multiple viewings. 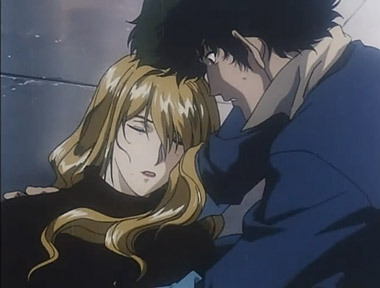 At first, Kaji just seems like a flirtatious jerk, but upon a second watch, we realize why he’s so aggressive in his pursuit of Misato: he knows he’s living on borrowed time. As one of the only people who understands just where the Eva project is heading, Kaji wastes no time righting what he sees as the biggest mistake of his life: losing her. Is it selfish for Kaji to work his way back into Misato’s heart, knowing what he knows, or would it be even more cruel to let Misato go into the End of Evangelion without ever knowing the truth? It’s hard to say, but it makes for some pretty compelling television. 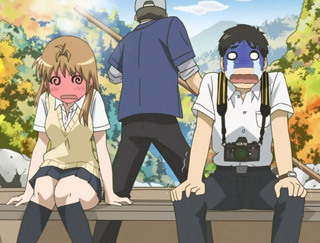 And of course, Shinji and Asuka are, err, tragic in their own way. 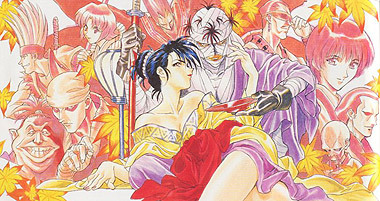 Shishio and Yumi, Rurouni Kenshin- It’s rare that villainous couples truly love each other, but when they do, they’re often more interesting than the heroes. That’s why Rurouni Kenshin big-bad Shishio and his girlfriend, Yumi, made the list despite being much lower profile than flagship couple Kenshin and Kaoru. Despite being twisted and power hungry to the extreme, there’s no indication that Shishio’s love for Yumi is anything but genuine, which complicates the moral picture. If Shishio can be so good to Yumi, can he truly be evil? Sure, we saw a sad (and rather bloody) ending for these two coming a mile away, but it’s so nice to see a depiction of a love so different from the norm. 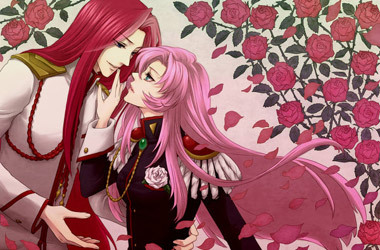 Utena and Touga, Adolescence of Utena—Utena TV series fans may be going “Whaaaat? !” but actually, we’re talking about the romance between Utena and Touga in the movie. A lot of the relationship is hinted at rather than shown, especially since Touga plays a lesser role in the film than he does in the TV series, and we’re still not sure as to his ultimate fate (Utena can be like that.) Still, there’s something poignant about their largely implied romance that a lot of far more developed love stories fail to achieve. At least in the film, he truly was her prince. Gally and Yugo, Battle Angel— We knew from the first moment that things were not going to work out for these two crazy kids stuck in one of the darkest cyberpunk-styled dystopias known to fiction, but it still hurts to watch our poor cyborgs fall apart every single time. Why won’t Yugo just listen to Gally when she tells him to stay with her? Why doesn’t he realize that her love is worth more than a hypothetical future in Zalem? Why do terrible things have to happen to good people? How can you even read this through the tears? Spike and Julia, Cowboy Bebop—To be honest, we were never that into the whole mob plot in Cowboy Bebop; we thought the show was at its best when the crew was lounging through space, listening to jazz and breaking into old museums to try to find the universe’s last remaining Betamax. Still, it’s hard not to be moved by snarky Spike’s doomed love for the enigmatic Julia; we still wish we knew more about her. A selfish part of us still wishes that Spike would have bid Julia adios, hooked up with gorgeous Faye Valentine and hung out with the Bebop crew for all eternity, but it can’t be helped; love makes you do crazy things, and there was no keeping Spike from Julia’s side. We don’t want to use the word weird, but there’s definitely something slightly askew with these couples, and that’s what makes them so great. These pairs remind us that there’s still so much more to be explored in the world of romance. Celty and Shinra, Durarara! !—We don’t even know where to start with these two. 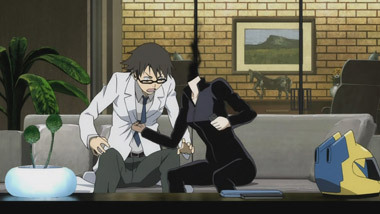 Celty, a mythical Dullahan who’s missing a head (and she’s sensitive about it, so you know, watch yourself) may seem to be the scary side of this duo, but back alley doctor Shinra is equally scary in his own way. And yet, a couple that should be pure nightmare fuel, through some truly bizarre, mysterious romantic alchemy, become absolutely adorable together. We want a second season of Durarara!! mostly so we can see these two continue down the path from creepy, flirty roommates to…well, whatever they are now. 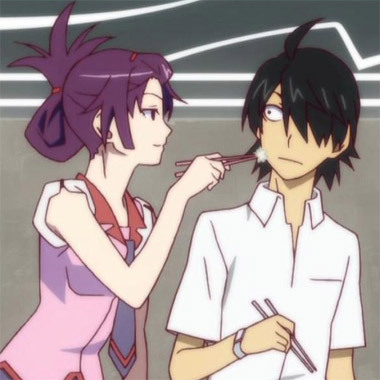 Koyomi Araragi and Hitagi Senjougahara, Bakemongatari—He may be a vampire (kind of) and she may be a high school girl, but this is nothing like Twilight. Or anything else ever, really, because Hitagi Senjougahara is one-of-a-kind. Whether she’s taking a stapler to her beau’s face or laying the smack down on a rival with stone cold confidence, this sharp-tongued beauty is mesmerizing to watch, and we can’t blame Araragi for falling for her over the course of just a few episodes. What she sees in him is more of a mystery, but then again, there is that whole vampire thing. Some girls dig that. Yui and Guita, K-ON! !—Okay, this is a bit of a stretch, but Yui’s love for “Guita” definitely goes beyond that of a human for an inanimate object, especially during K-ON’s second season. 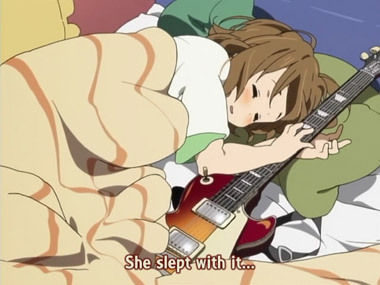 From the moment Yui laid eyes on her precious electric guitar, the two have been inseparable. Other couples yearn for the degree of intimacy achieved between Yui and Guita- heck, they even sleep together. But is the world ready for a romance between a cheerful brunette and a stringed instrument? Will a jealous amp get in the way? Only a third season can answer these questions. These couples just can’t seem to get it together, and it’s equal parts hilarious and frustrating. Still, despite the fact that they kind of fail at the romance part of the equation, you know these couples are meant to be and it’s only a matter of time. Just keep trying, guys. 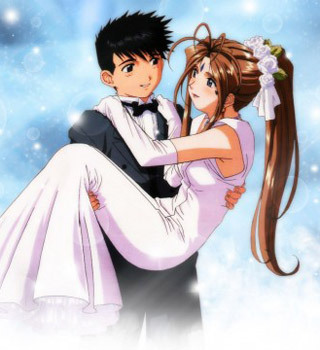 Keiichi and Belldandy, Oh My Goddess!—We know what you’re thinking: Keiichi and Belldandy have been together for DECADES (and that’s not an exaggeration; the manga is approaching its 25th anniversary). How can they possibly still be “in training?” Well, for whatever reason, their relationship is still stuck in the kindergarten stage. K1 and Bell enjoy holding hands and eating lunch together, and that’s the extent of their physical intimacy. Their slow progress could have something to do with the fact that Bell is a divine being and K1 fears the celestial consequences of putting the moves on her (not that we blame him), but still, this is getting kind of ridiculous. We can only hope that it doesn’t take another 25 years for these two to share another (entirely chaste) kiss. 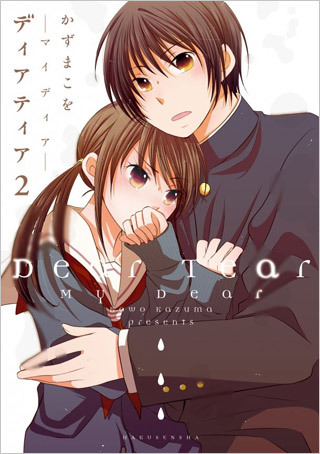 Yamada and Kosuda, B Gata H Kei—Yamada, first name pending, is a pretty girl who likes Kosuda. 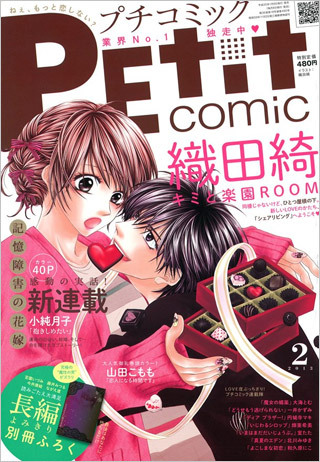 Kosuda is a sweet guy who likes Yamada, quite a lot in fact. So what’s stopping them from getting together? About 47 layers of neurosis, that’s what. Most shows as raunchy as B Gata H Kei aren’t known for couples you can relate to, but there’s something uniquely charming about how badly these two screw up the simple act of hooking up. 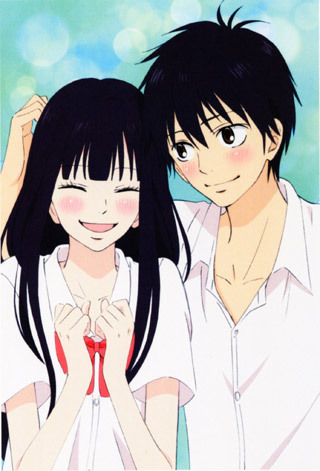 Sawako and Kazehaya, Kimi ni Todoke—These two are quite possibly the most adorable couple in anime, but they take their sweet time. The audience pretty much knows that Kazehaya is crazy about poor unpopular Sawako from episode one, but it takes Sawako some 30-odd episodes to figure that out, and we’re still not sure she really believes it. Kazehaya, nice as he is, doesn’t help by misinterpreting half of the things Sawako does as evidence that she’s just not that into him (um, no.) These two are awfully sweet kids, but good lord do we wish we could draw them a map sometimes. 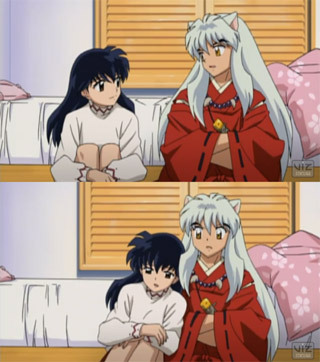 Kagome and InuYasha, InuYasha—Let’s not mince words; the fact that these two are not together already is a universal abomination that must be fixed. 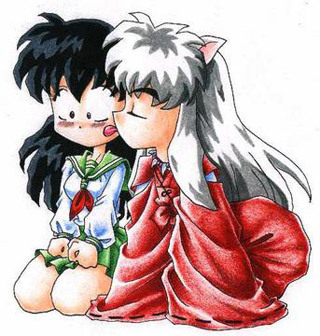 Kagome, he loves you, InuYasha, she loves you, Kikyo’s dead, and that’s all there is to it. Either you two get together or we’re going to shatter the Sacred Jewel all over again and bury the shards somewhere you’ll never find them. So say we all. 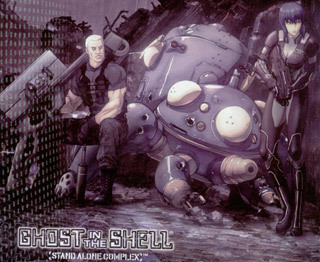 Kusanagi and Batou, Ghost in the Shell— Batou’s love for his Major seems to be completely unrequited—in fact, we’re not sure if the enigmatic Kusanagi has any interest in love whatsoever—but we can’t help hoping, for poor Batou’s sake, that Motoko has just been hiding her feelings for him all this time. Maybe the new GITS series planned will ditch the whole military angle and play out as a romantic comedy, with those naughty Tachikomas conspiring to plant an engagement ring in Kusanagi’s cockpit and pretending it’s from Batou. Hey, it could happen.